How Hot Summer Months Can Bring Mold Straight Into Your Home! Well, the summer has more than arrived, and everybody is feeling it for the most part. The blistering heat has affected many of our daily lives, and the humidity has drenched us in sweat time, and time again. Summer does not just affect you personally, though, it affects your house too. Of course, it takes a toll on your wallet through your electric bill. Your air conditioning unit is going to have to work a lot harder to keep your house comfortable. That is not all it does, though, and the other effects can be much worse. We are talking about water damage, mold odors, and all different kinds of mold problems. Why Is Mold So Bad in my Home? Mold is not good for a lot of reasons. Aside from the fact that it destroys items and property, it can also make you sick. We are not just talking about regular sick like the flu either. Certain types of mold can make you really sick. Not just you either, your pets as well. If your beloved pets consume mold or breathe airborne mold in too long, they may have problems easier than you. Your children and grandparents are also more susceptible to the nasty effects of mold. With that said, mold can do a lot of damage, to you, your home, and your family. There is even a type of mold that can destroy a house over the proper amount of time if left unchecked. How can mold destroy a house, though? Every time your air conditioner clicks on and slowly cools the air, small micro-droplets of water condense on the cold coils, coalesce, and create water. A drain usually facilitates the collection and removal of the moisture. Yet, when the drain system backs up minor drips begin to back up, and slowly move moisture to the walls. Along with time and moisture, mold grows a little bit like weeds as other plants do. It will grow until the space it is in does not fit it anymore. Does that mean that the mold stops growing? Absolutely not, it means that it expands the space it is in on its own. It will fill the interior walls and spaces below your air conditioner with visible mold and mold spores inside your home. There are a lot of ways to prevent different kinds of mold from growing. There are a lot of old wives tales of how to do it too, so you need to beware of these. First, you need to know how mold grows in the first place. Mold grows when it is moist in an area with no ventilation or very little. It forms from bacteria thriving on that moisture and a lack of moving air to move it out of one particular place. Where does this normally happen, though? A lot more places than you may think. Mold forms easily in the following places; Close off rooms and closets. Clogged air conditioning drain lines. Dirty air conditioning ducts and vents. Humid bathrooms ceilings and window frames Sink and tub drains or tile grout and even silicone water proofing seals. Damp or wet bathroom mats or towels. And that is just to name a few of the many places that mold can develop quickly. All of these are simply caused by a combination of moisture and lack of ventilation. With that said, the very air you are breathing right now might have mold particles in it from your air conditioning or other areas of your home. There are a lot of causes that can create mold in your air conditioning system and a lot of areas mold can be found. Black mold spores may be in the air conditioning coils, plenum, and even the air conditioning ducts. You actually can prevent a fair amount of these problems simply by having your air conditioning system Inspected or cleaned out regularly. Sure you could do this yourself, but it might be better to have someone with the proper tools do it for you. A professional Air duct cleaning company or specialized air conditioning company can usually clean your system. The price might be a tad high, but the hospital bills or funeral will not have to be covered that way. Seriously, if you have not had your system cleaned in a while, then it is probably time to get in inspected, or just do it. Black mold is one of the worst kinds of mold, period, and it grows it most air conditioning systems regularly when water damage occurs. Aside from the ducts and vents themselves, mold loves to grow in and around your air conditioning. If you have your system in the garage, closet or even the attic of your house, it might be a good idea to take a look around. You will be surprised by what you find. Water stains, water damage, and mold growing on the drywall. Aside from hiring a professional to clean your system, you should regularly clean and make sure there is proper drainage for things like your air conditioning drain or hot water heater. Mold, dust, pet hair, and particulates that impact the air conditioning filter also significantly reduce the airflow into your house from your air conditioning. Not only will that make your system work harder to cool your house, but naturally it will cost you more money and the electric bill. It is just worth it to spend 5 minutes and inspect your air conditioning system and keep it free of all types of mold. First, you need to take a look at your vents with the air blowing to check for small debris or odors coming from it. Check or have your air conditioning filters changed routinely. Usually every 3-6 months is recommended by most manufacturers. 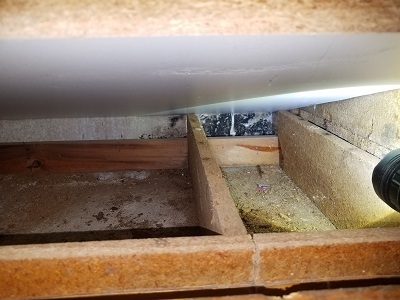 If you smell heavy odors coming out the closet or attic, then this is a likely sign of water damage and bacteria build up that need to be cleaned out. Keep a good eye on how often your a/c runs. Do you hear it cycle on and off? How often are doors and windows opened? Do not run your system forever, it needs a break too. Listen for loud system starts and stops, as this can also be a sign of a problem. If you don’t hear the AC cycle, or it makes really loud noises you may need to turn it off and call a professional air conditioning contractor to inspect or repair the ac unit. Well, it does help if you clean out things like drainage pipes in general. This covers your sink, toilet, and tub drains. You also want to wash damp clothes and linens quickly, even if they are not that dirty, as they are a breeding ground for mold and mildew. Forget the fact that is stinks, it is bad all around. Closets should be regularly cleaned, and the door left open from time to time, to allow for good ventilation. Just keep the place clean, tidy and well ventilated in general. That way you will have less of a problem with mold. If you need help finding mold within your home be sure to call FunGuy Mold Inspections in Los Angeles. There are a lot of causes that can create mold in your air conditioning system and a lot of areas mold can be found. Black mold spores may be in the air conditioning coils, plenum, and even the air conditioning ducts. You actually can prevent a fair amount of these problems simply by having your air conditioning system Inspected or cleaned out regularly. Sure you could do this yourself, but it might be better to have someone with the proper tools do it for you. A professional Air duct cleaning company or specialized air conditioning company can usually clean your system. The price might be a tad high, but the hospital bills or funeral will not have to be covered that way. Seriously, if you have not had your system cleaned in a while, then it is probably time to get in inspected, or just do it. Black mold is one of the worst kinds of mold, period, and it grows it most air conditioning systems regularly when water damage occurs. We don’t often think that our air conditioning system that cools our house can cause water damage and mold problems. In short, an air conditioner removes moisture from the air and it naturally drains outdoors or in a dedicated drain line. Clogging of the drain can cause water damage and real mold problems. Learn how to prevent mold in your air conditioning system and schedule a routine inspection today. Closed Off Rooms, Closets, Doors, and Mold That Grow’s Black. Improper ventilation and increased humidity in a room or closet can cause mold growth on walls and ceilings. Not only on the surface of the walls, but also you clothes, bags, and other belongings. Clogged Air Conditioning Drain Lines. This problem can occur naturally and unless you monitor the air conditioning closet you’ll probably never know about the water damage and mold problem that exist. 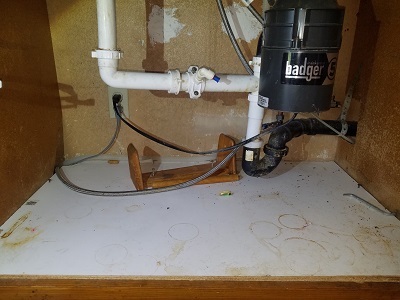 Some bacteria, dust, and debris built up on the coils over time can reduce air flow and increase the chance of clogging the drain, water damage, and then eventually mold. Looking for a solution to this problem, contact a funguy mold inspector today to look at your air condition system. Look: Do you notice fiber glass, heavy dust, or odors coming from the air conditioning ducts or registers?. This could be a sign of contamination. Smell: Check for heavy or unusual odors coming from normal operation of your air conditioning system? Monitor: Overuse, opening doors, and Improper cycling can cause continuous running of the system and blockages. Listen: Do you notice that air conditioner never shuts off and on? Listen closely, does it run continuously? A healthy air conditioner will cycle on and off during normal operations. Of course upon starting up and heavier indoor loads an air conditioner will run to meet demand. Maintenance – Contact a certified mold inspector or air conditioning specialist for maintenance and scheduled maintenance plans today.